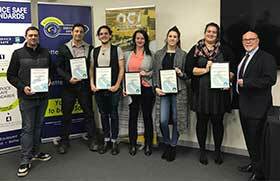 THE caravan Industry's next generation of leaders has graduated from the first ever Caravan Industry Emerging Leaders program. The inaugural members reached a milestone by graduating from the Leadership Management Australia – The Performance Edge course, which is part of the program syllabus. 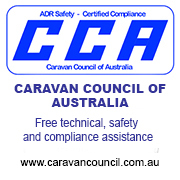 Caravan Industry Association of Victoria (CIA VIC) chief executive Rob Lucas said the program was created by the Caravan Trade and Industries Association of Victoria in conjunction with Caravan Industry Association of Australia. 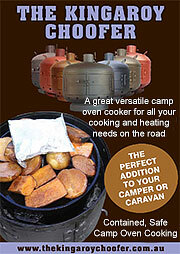 It is delivered through the National Caravan Industry Training College. 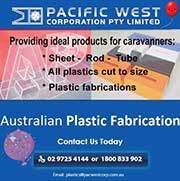 "The leaders program is unique and fosters the next generation of leaders for the caravan industry," he said. "Whatever the individual's leadership goals and challenges, the program will broaden their understanding of leadership and develop their leadership skills. "Those taking part stepped outside the walls of their workplace to discover a broader, richer view of leadership – as practiced personally and professionally, and across multiple sectors and generations." An ideal introduction to the leadership landscape, the program began with a full day of leadership insights from a range of community and business leaders and a day of residential learning. Guest speakers included Dectective Inspector Wayne Newman of Victoria Police, Les Twentyman Foundation chief executive Wayne Owens, Village Roadshow managing director Les Robert Kirby and Jo Carr and Peter Robinson from Advantage Caravan Repairs. Participants also embarked on a 10-session leadership program through CIA VIC's training partner Leadership Management Australia (LMA) for The Performance Edge. This is a course that delivers the most effective and immediate way to improve the performance and productivity. There will be a refocus workshop in a few weeks time before the induction into the Caravan Industry Association of Australia Future Leaders Program. Courtney Adams - Caravan Trade & Industries Association Victoria. Laura D'Urbano - Caravan Trade & Industries Association Victoria. Erkut Fevzi - Crusader Caravan. 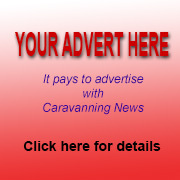 James Field - Caravan Industry Association of Australia. Matthew Leonard - John Guest Pacific Ltd.
Jared Pearson - Elite Caravans. Leon Pumpa - What's Up Downunder. Robert Roda - Nova Caravans.